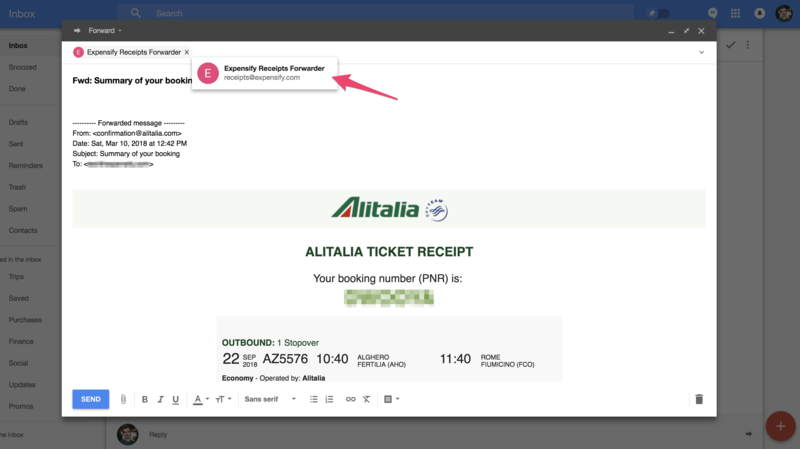 SmartScan receipts with Expensify and let the magic begin! How do I get unlimited SmartScans? How can I SmartScan multiple receipts as quick as possible? SmartScan is simple on the outside and complex on the inside. When you SmartScan a receipt, we’ll read the Merchant, Date and Amount of the transaction, create an expense, and add it to your Expensify account automatically! Expensify accounts come with 5 free SmartScans per month. If you’re an individual user and you need access to unlimited SmartScans, check out the Monthly Subscription! If your organization is already using Expensify and you belong to a company policy, you’ll have access to unlimited SmartScans by default. Open Expensify app and use the big green camera button to snap a photo. Use 3D touch to make it even faster! Tap "Add details" to add a description if you want to, or select a custom category or tag. Put your phone back in your pocket and forget about the receipt entirely. Toss your receipt in the trash... Or burn it! We’ll take over from here! SmartScan runs in the background, so there’s no need to keep the app open. Most SmartScans complete within one hour, but it can take a bit longer—so don't worry! If we need more information from you, you’ll get a message from Concierge letting you know! First it uses “optical character recognition” (OCR) on receipt images to extract the text from the image. Then it analyzes that text to determine what portions correspond to the merchant name, amount, currency and date of the purchase. If it can't detect a specific currency symbol, it will default to the currency based on your current location. You can also write one in by hand if it's not noted! Finally, SmartScan consults your list of existing expenses to see if the newly processed receipt image corresponds to a purchase that has already been imported via a credit card connection or CSV spreadsheet. We will then merge these transactions. Different currencies? No problem. We'll still match 'em. If our OCR technology can't read the receipt, we will make sure it's flagged for human review by one of our secure technicians. At the end of the day, nothing beats the human eye for ultimate quality. Scan first. Scan it right away so it’s ready when you want to submit your report. Make sure all necessary data is present: Any expense must have a date, total amount, and merchant; if we can't find one of these on your receipt, your SmartScan won't complete. Clean your lens. It’s obvious, but it’s amazing how easy it is to forget. Enable auto-focus. This typically happens automatically, but just in case. Enable your flash. The best way to get good lighting is to just turn on the flash. Use a dark background. A white receipt on a dark background is the easiest to process. Include background on all sides. 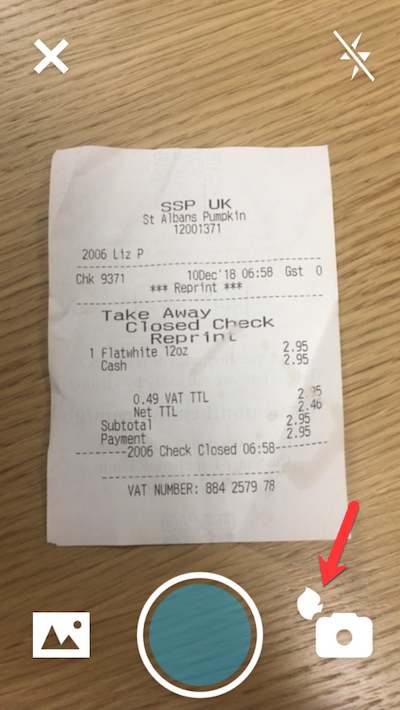 To help us find the edges of the receipt, capture a bit of border all around. No fingers on the receipt. If possible, lay the receipt out flat and don’t cover with your fingers. No sensitive information. Don’t take a picture of anything you wouldn’t be willing to throw into the trash on any typical receipt! While Expensify will never do anything malicious with that information, we can't guarantee the safety of your device or all of the networks over which that information has to transfer to get to us. Why is SmartScan taking a long time? Robots can guess quickly, but often they get it wrong the first time. Because our bots like to get it right, they need a bit of extra time to do that. So, when you SmartScan an expense, it can take anywhere from a few minutes to a few hours for your scan to complete, depending on the receipt quality and overall SmartScan volume at that time. If we still don't trust the bot, we have someone on our team check it with their real human eyes. As long as you still see the word SmartScanning on the receipt, it will eventually complete. During periods of high receipt volume, there may be delays. You can also check out the status page for any updates on SmartScan downtime. If you feel that there might be something wrong, don't hesitate to reach out to concierge@expensify.com. Why did Concierge reach out about my SmartScan? Your receipt was most likely missing one or more of these: merchant name, purchase date, or total amount. SmartScan requires these three data points to be present because it’s the only way to ensure it’s a traceable, legitimate receipt. Want to know more about Concierge? Meet our friendly AI bot here! Of course you can! But we'd love your feedback on why you'd like to disable SmartScan before you do. Reach out to us and let us know why! Otherwise, follow this guide to disable SmartScan from Settings > Your Account > Preferences > scroll down to SmartScanning.